Accessibility and Service Dogs: Natalie Humeston’s battle to make service dogs affordable for those in need. 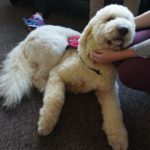 “If I wanted to get certified as an accredited trainer [for service animals, specifically Emotional Support Animals] I would have to pay [up to] six thousand dollars for a six week course at Bergin University of Canine Studies.” says Natalie Humeston, who has been training dogs for as service dogs for 35 years. 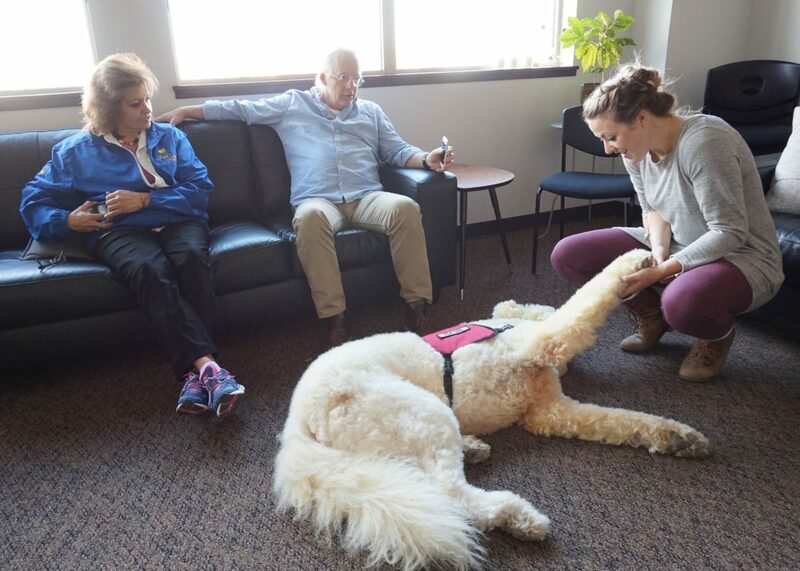 “I would be certified as a trainer, yet never touch an actual dog during the training process.” Bergin University of Canine Studies, based in the United States, is one of the only recognized programs to become a certified trainer of service dogs. 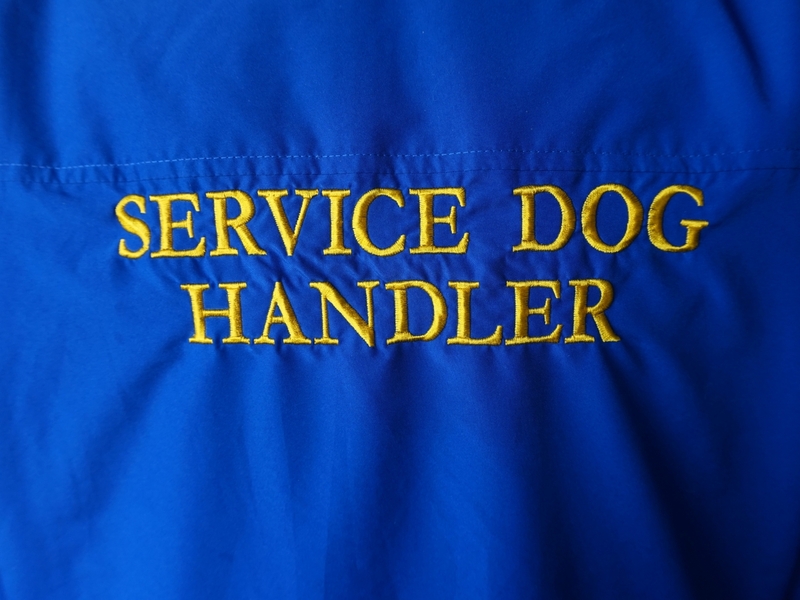 However, even with these laws in place to ensure accessibility and inclusion, it is still difficult to navigate the bureaucracy of what it takes to become an accredited service dog trainer, or to have a dog accredited as a service dog. Despite, 35 years under her belt, Humeston is not accredited. Humeston started her career as a trainer at the age of 17 years old training rescues. Since then she has lead an illustrious and prolific career training dogs predominantly to be supportive animals for individuals with disabilities. Humeston told us a story of a family who came by her house to check out a dog for adoption. “This individual [a young boy] and the dog bonded instantly.” The dog has been house broken and leashed trained up to this point, but has had no formal service dog training. The dog marched right on over to the young boy who leaned out of his wheel chair and said to the dog “You’re gonna help me walk.” It took another 5 weeks for the dog (whom the young boy named Pumba) to be properly trained, but the dog hardly left the child’s side. Even when the boy was in the hospital, the dog was there. After the young boy had passed, his condition left him with a short life span, the dog stayed in the boy’s room and refused to leave. Stories like this are common with the dogs Humeston trains. Some of the dogs end up working with individuals on the Autistic Spectrum who rail at human contact, yet will allow the dogs to lay on their laps. The bond created between the individuals and their Emotional Support Animals (ESA) is a powerful tool and helps individuals cope with anything from stress to being triggered from past traumatic episodes. Over the years as a trainer, Humeston has also learned how to identify which puppy from a litter would be best for an individual based on the individual’s needs. Some individuals requiring a more confident and energetic dog than others. However, despite the work she is doing in her field she has come up against some walls in her progress. St John’s Ambulance will only certify Labs or Golden Retrievers as ESAs, whereas Humeston has found over the years that the Komondor breed is an ideal breed as a service animal. Not a popular or well-known breed, Komondor’s (also known as a Hungarian Sheep Dog) are natural protectors. Doubled with their extremely calm and gentle temperament makes them an ideal companion. “They are a big powerful dog” states Humeston, “People think they’re out of control.” These misconceptions about the breed have led not many people to have them as pets. As we talk, Bon the Komondor, a service dog that Humeston trained, lays patiently at her feet. At CAES, we were fortunate enough to have Bon visit the office a couple of times. From a firsthand encounter, he is calm and nurturing. His ability to notice and attend to individuals who are experiencing stress is phenomenal to observe. “It’s so subtle what he does,” remarks Humeston, “But he can read and calm situations. How he interacts and blocks behaviours, it’s amazing.” She recounted to us an encounter with Bon. At the agency she works for, Wheat Country Special Needs Society, they were offering a course for individuals to work with the dogs. There was an individual present who had not taken the course beforehand. She was visibly anxious and Bon went to her side and remained there. “Even though I was calling him over he wouldn’t move” says Humeston, “He knew where he needed to be and wouldn’t leave until his job was finished. That’s the amazing thing about the Komondor’s; they won’t work for you, they work with you.” Even with their temperament, Humeston notes, that they are not an easy dog to train. You must socialize them at an early age if they are going to be a proper service dog, and they are trained very differently than most breeds. “We went to Callaway Park and were surrounded by kids almost instantly.” Humeston recalls, “I would say out of 100 kids, 1 out of 4 parents said they needed an ESA.” But with up to 4 year waiting lists and steep costs of what is considered a certified trained dog, many of these families cannot access these direly needed services. “And after 6 years old [for a child] the Government won’t fund the families.” mentions Humeston. Before the age of 6 years old the Government can subsidise the cost of a service dog. In the event a child isn’t properly diagnosed until after the age of six years old, the family misses out on a huge subsidy opportunity.